Congratulations on finishing your time at high school! We’re so excited for you at this time of transition in your life. If you’re looking to stay connected with the Catholic Church after school, there is so much on offer for people your age. Check out some of the events and groups in Brisbane and surrounding areas that you can get involved in next year! All these groups and more are part of the Catholic Collective in the Archdiocese of Brisbane. If you’re heading to Uni next year, make sure you look out for the Chaplaincy and Ministry groups on campus. They run heaps of events on campus and are always available to support you during your time at Uni. Life is a great adventure. UQ Catholic Chaplaincy is a lively hub where you can meet friends to journey with during your Uni years. Share your faith and life experiences, along with a lot of fun and great coffee. Come and see. The Newman Catholic Society was one of the first official student clubs that was ever formed at the University of Queensland St Lucia Campus. We are a group of Catholic students, and those interested in the Catholic faith, who want to grow deeper in our relationship with God. University is a time of transition, challenge and new experiences. It’s these experiences that will help you discover your purpose and define your future. Freedom, Catholic mission on campus, is a student club supported by Freedom missionary staff & volunteers. It is here for you, to help you discover your purpose through faith studies, one on one discipleship, mass on campus, social events and community. ACU Campus Ministry is about helping you to see and experience life differently as you journey through university. We exist to provide you with the space, the tools and the opportunities to support you in your faith, and to help you better understand where you're going and who you're becoming in life. Griffith Chaplaincy is a safe place for people of any faith or worldview. If you're heading to any Griffith campus, make sure you look out for the chaplaincy team. 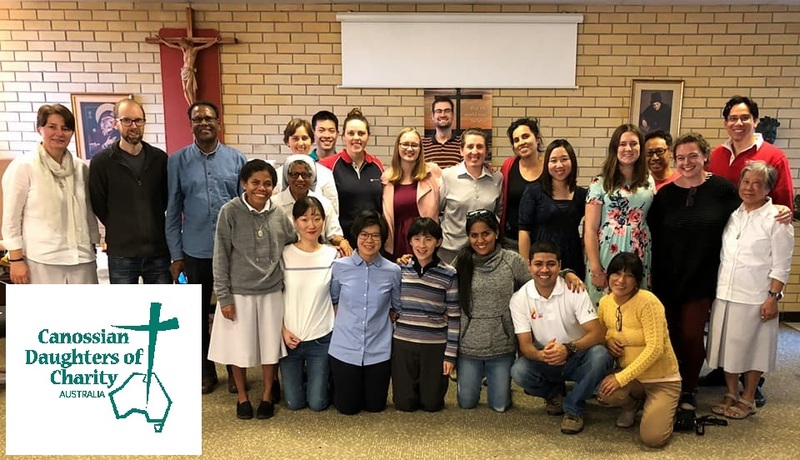 ACSA is a national organisation of Catholic university students within Australia, promoting, engaging and networking with Catholic students from around Australia to be a united voice for issues affecting young Catholics. A collaborative initiative in an effort to breathe new life into the Catholic young adults scene in Brisbane and challenge them to reclaim their faith. Do you live near any of these parishes? They all have groups full of people your age who meet up regularly. Are you interested in going to events with other like-minded people your age? Check out some of these groups and events. We offer young people the opportunity to connect personally with God through prayer groups that teach the dynamism of the Word of God. We also run spiritual retreats, faith formation sessions and offer personal spiritual accompaniment to help discern vocation, God's will and plan for your life. This is a cross denominational group that meet weekly to meditate together with the aim of creating a fulfilling life and more intimate relationships. The Canossian Sisters run regular retreats and reflection days for young adults (both men and women), focusing on prayer and the word of God. YFC gives you the opportunity to recognise that you are being called by God to be an active instruments in renewing the face of the earth by following the example of Jesus Christ. Find YFC in different parish locations across Brisbane. Marist Youth Ministry Brisbane seeks to create opportunities for young people to go places they can't go on their own. Through authentic experiences of hospitality and community at our events - we invite young people to move further and deeper into life, equipping and forming them to be a generation marked with a strong sense of purpose set to influence the world here and now. The Frassati Fraternity is inspired by Bl Pier Giorgio Frassati for those who seek to live the Catholic faith in an authentic way. Each Monday the Frassati hosts Verso L’Alto Evenings for young men and women who want to know their Catholic faith better and live it more faithfully - 7pm Mass at Mary Immaculate Church, 616 Ipswich Rd, Annerley; followed by supper and catechesis/faith formation sessions. There are lots of opportunities for you to spend a gap year serving others, or go on an immersion overseas or in Australia. If you’re interested in this, make sure you contact some of these groups below to see how you can apply. You are created for a greater purpose – NET Ministries puts into action the Church’s mission to evangelise and make a difference in the world. You will be formed, trained and equipped in youth ministry, and play an active role in transforming the lives of young people around this nation. Be the difference the world needs and take a leap of faith. Find out more from our website and check out our Facebook for awesome videos and new news! A Catholic Mission Immersion is where a small group of adults or students visit church and school communities in an Australian Indigenous context or an overseas country for 10 to 12 days. The purpose of an immersion is for participants to experience life, faith and justice from a new perspective and return home inspired to live a personal sense of Catholic ‘mission’ in Australia. Celebrate the end of year 12 with the ultimate Alternative Schoolies Week in Fiji. Relax by the beach, explore the sights, lend a hand in service projects and have the time of your life. Join with other Marist Young Adults as we engage in outreach projects (from 8-22 December 2018) to some of the most marginalised children in Manila - the largest city in the Philippines. If you were involved in social justice activities at your school and want to keep involved next year, there are heaps of opportunities all around South East Queensland to stay connected! Blind Eye Ministries is a grass-roots Catholic ministry devoted to journeying with the most vulnerable in society - one person at a time. You can volunteer at their drop-in centre on Saturday mornings or bring a group during the week. Edmund Rice Camps provide Holiday programs for children, young people and families who would not otherwise have the opportunity. Young adult volunteers participate as mentors and friends to provide experiences of fun and friendship to some children who really need it! Orange Sky Laundry's mission is to provide a vehicle for conversations, opportunities and education through a free mobile laundry service for the homeless, worldwide. You can apply to be a volunteer with Orange Sky Laundry today on their website. Rosies started as a youth mission, commencing in Queensland in 1987 at the Gold Coast Schoolies Week supporting youth at risk. We are the longest serving community organisation helping make the event as safe as possible. We continue to engage youth, and the community, through education, awareness, and volunteer programs that play a vital role in prevention and support. The Passionist Youth Retreat Team is made up of Young Adults who want a different experience…The team is different every year, and is made up of those wanting to explore, depend and strengthen their faith, as well as up skilling for retreat work. If you’re interested in joining the team, head to the website to find out more! Vinnies Youth Queensland offers a range of events and programs to support disadvantaged and marginalised youth. We are always looking out for passionate volunteers to plan, organise and run youth programs during the year. The programs include: Buddies Days (which involves an annual camp), SENSE Youth Mentoring (which involves an annual camp) and VOICE Program. Project Hatch are a retreat ministry who run reflection days in schools all across Australia. If you're interested in joining the team, contact Project Hatch to hear more. Caritas Australia believes that poverty, hunger, oppression and injustice make it impossible to live a life of dignity. Stand up and have your voice heard, so the world’s poor can too. Take action. There are some big events coming up next year in the wider Catholic Church. Have a look at these events and try to get to some next year! The Australian Catholic Youth Festival (ACYF) is held every 2 years in a different city in Australia. This is a chance for thousands of young Catholics (aged 15-25) to gather, encounter Jesus and celebrate their faith. The next festival will run in 2019 in Perth. Head to the website for more info! Congrats on finishing High School! Feeling a bit nervous about what’s to come? We’d love you to come join us for 4 days of food, swims, hangs and mad chats about the crazy first years out of school at a Beach House on the coast. Ignite Beach House is a gathering of 17-20 year olds to celebrate being out of school and to explore the huge adventure and purpose God has for your life. Ignite Conference brings together young people from around Australia and the world for 4 days massive days of music, speakers and new people. This is an essential event for every school leaver. Whether you’ve never been to church, or you’re just looking for a monthly hangout with your parish youth group, you’re going to fit in perfect at Ignite Live! The night involves Mass, dinner, praise & worship, reconciliation and prayer teams.